Finely restored dwelling, where precious materials such as stone, brick and wood will give you a warm embrace. 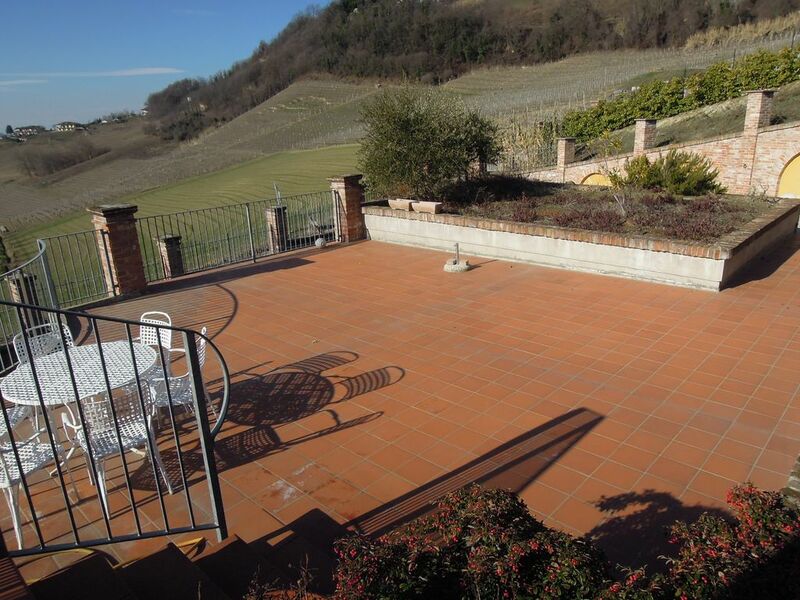 Sun terrace with views of Alba and the Langhe hills. Outdoor tavern with wood-burning oven and inside tavern with fireplace for your parties in every season. Outdoor hanging lounge for your relaxation. Rooms with newly furnished and rebuilt bathrooms. TV, mini-bar, dedicated outdoor lounges, winter heating by underfloor system, summer air conditioning through split system, garage with protected parking spaces. Possibility of using a private shuttle for transportation to and from various airports, stations, and points of interest. Depending on the climate and the availability of the shuttle, you can organize tours in places where nature, art, and sport can be a real plus for Piedmont. Staying in Cad'Teresot you will find yourself in the middle of wonderful locations. A few minutes from the fantastic hills of Monferrato, Langhe and Roero, just a few minutes from the characteristic and elegant old town of Alba, one hour from the beautiful Ligurian Sea, one hour from the ski resorts of the Western Alps, and one hour from center of Turin. For sports lovers we can organize wonderful weekend of trekking, biking, climbing, and much more. For lovers of good food, wine and food tours are organized in wine bars and restaurants in the area.